Deps are ubiquitous all over Quebec, especially near McGill’s Downtown campus. Students around Montreal rely on them for everything from getting supplies for a pre, to satisfying late-night mac and cheese cravings. There are 13 depanneurs in the McGill area according to DepQuebec, each with its own unique story and quirks. While some are best known for their low prices, others demonstrate an unwavering commitment to serving their customers—for “25 hours” a day, no less. The McGill Tribune compiled a ranking and a price comparison chart for each of the best deps around, so that no last-minute request for red solo cups, candy, or crackers goes unmet. 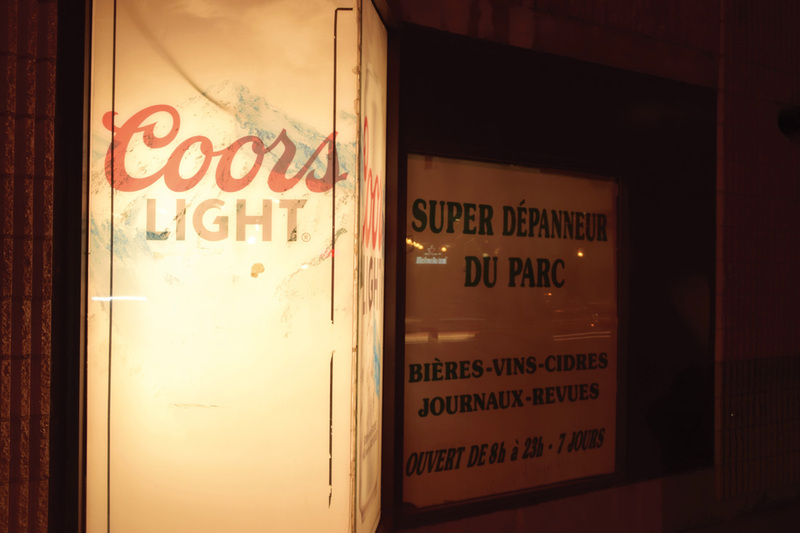 In the Milton-Parc area, Beau-Soir attracts passersby with their cheeky “25 hours” sign. 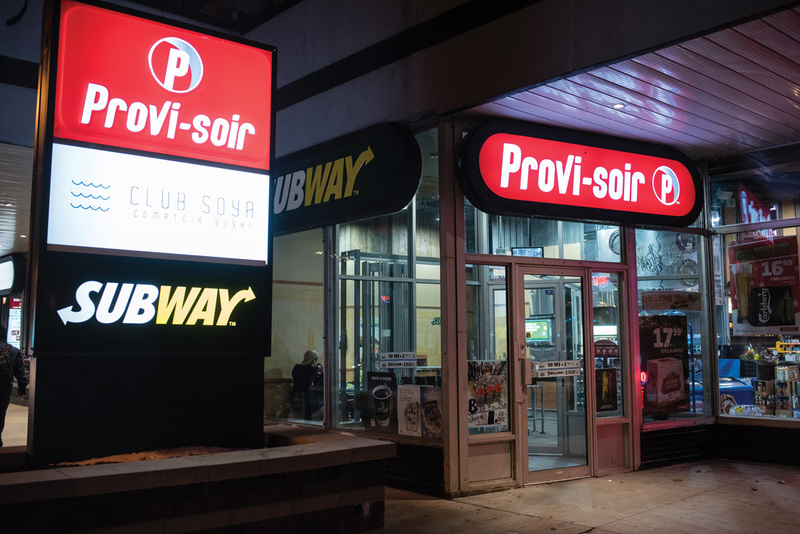 Though in actuality it’s only open 24 hours, seven days a week, this depanneur is there to satisfy students’ cravings around the clock. A first visit to this dep might be disorienting, however, as it lacks price tags to tell customers quickly what prices are. They do have a nice popcorn machine, though. Tucked away behind the Galeries du Parc entrance on the northwest corner of Prince Arthur and Parc streets, this depanneur can be easy to miss. But, upon entry, Super Depanneur La Cité reveals some of the cheapest prices on essentials compared to other deps. On top of all of this, it can be accessed completely indoors by those who live in New Rez or LaCité residence via the labyrinthian passageways of the Galeries du Parc shopping complex. 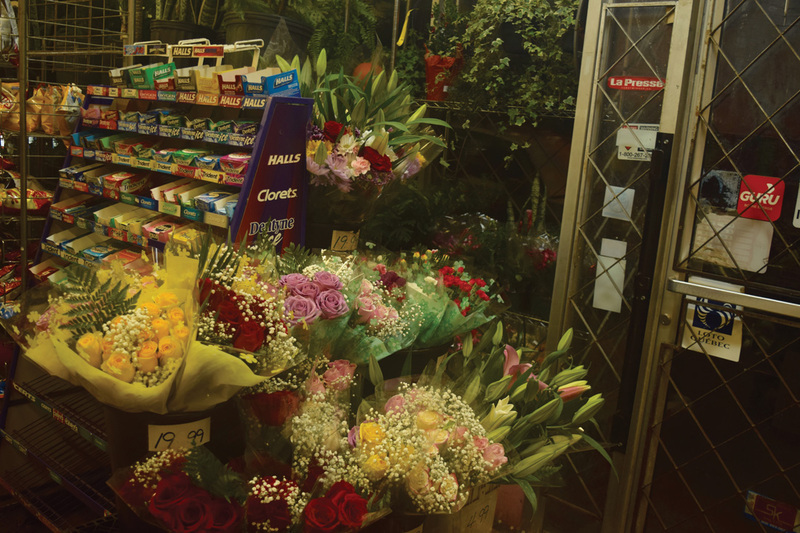 Located on Prince Arthur and Sainte-Famille streets, Depanneur Lindell is the shop that many students know as the “flower dep.” From succulents to tulips, the small store sells plants of every kind, and friendly staff are available to answer every customer’s need. But beyond flora, this depanneur doesn’t offer much; it doesn’t sell late-night snack-food, PBR, or other typical dep purchases. On the corner of Sainte Famille and Sherbrooke streets lies Marche J V T. This depanneur blurs the line between a dep and a grocery store, boasting the highest variety of products compared to other depanneurs on this list. Marche J V T’s produce section—an uncommon sight in other deps—makes for a good place to grab a few days’ worth of groceries if you don’t have time to trek to the grocery store. Plus, they have a wide selection of canned goods and beer, if you’re looking to stock up your pantry. For those living in an Upper Residence, knowing the nearest depanneur from their isolated location on top of the hill is important. 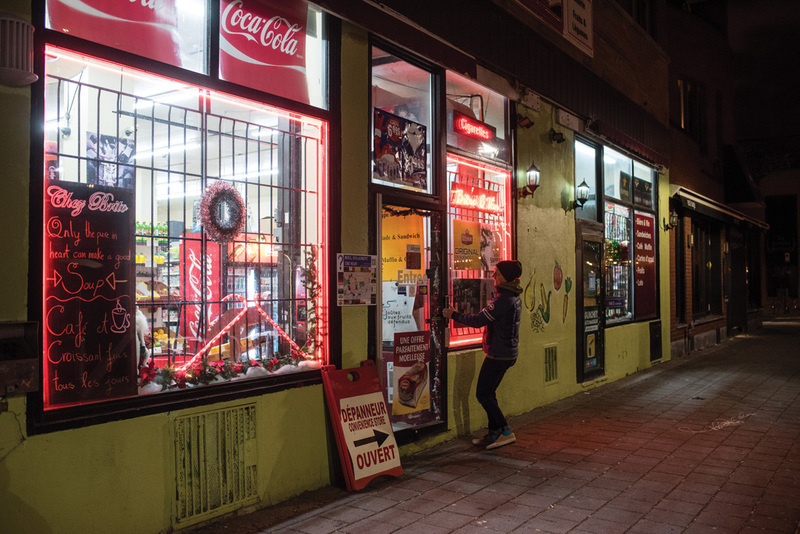 At the corner of Durocher and Prince Arthur streets, Marché Campus is not only the closest depanneur to the Upper Residences, it’s also easily accessible to those living in the Milton-Parc Community. Knowing their demographic, alcohol is relatively cheap but other products, such as Cup Noodles or Kraft Dinner mac and cheese, have prices that are not as competitive. Just a block away on the corner of Durocher and Milton streets is Green’s Superette and its eye-catching green facade. This dep has relatively low alcohol prices, and the widest array of wines under $15, such as Nicholas Laloux and Silverthorne. However, its layout is relatively confusing, and one aisle is a dead end, making this a confusing destination for anyone who wanders in after a few drinks. The closest depanneur to the Milton Gates is Marche Bissonnette, situated on Milton street between Lorne avenue and Aylmer street. Its location makes it an ideal pit stop on the way home from campus for many McGill students. But most else about it is lackluster, as its prices and variety are only average compared to other deps in the area. Its main asset is the lineup of ramen and cup noodles, which they have more of than a student likely needs.